I admit I have sweet tooth. 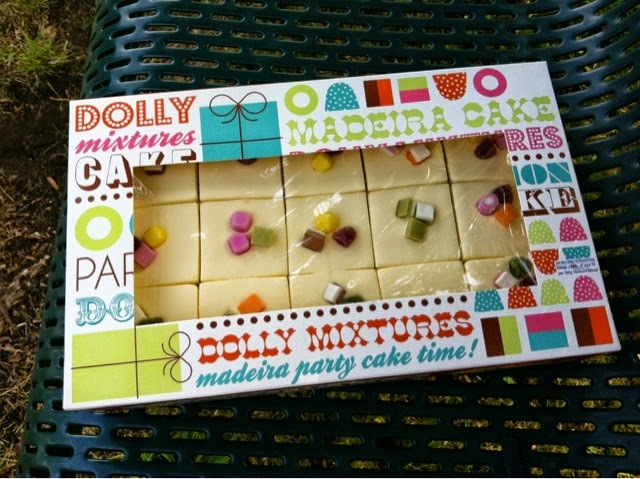 I couldn't resist not buying this box of Madeira cake. 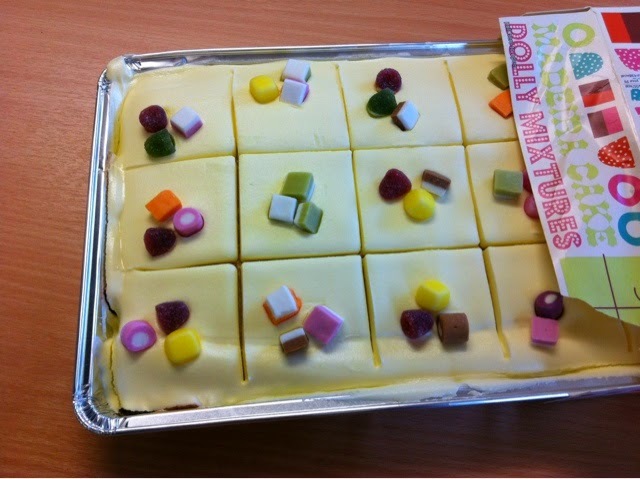 It's M&S Dolly Mixture cake. Just lets say I am eager to celebrate my Birthday early this year :). I really hope M&S did not name this after the famous American country singer- Dolly Parton. She has got a cloned sheep and an abandoned dog (from Glastonbury fest) named after her. Joke aside, I am glad the dog will be adopted by Ms. Dolly herself in event the charity fail to locate its owner. I don't normally buy supermarket prepacked cakes but I failed to convince myself not to buy a pack of this to try. This pack of Madeira cake was on offer. It cost only £1.60 for the whole cake! It doesn't really matter if the cake is expiring on the same day. I know I can share the cake with friends. What is most important is I get to have a slice of the cake. My husband and I had one and a half slice right before we had our dinner. Madness I know. Just let's say we had our desserts before we had our main. The Madeira cake is really moist. The layer of cream was a little too sweet for my liking- but still tolerable.